In many ways, the startup world has been working toward this moment since 2002, with the passage of Sarbanes-Oxley, a law that established new accounting standards for publicly traded companies. SarBox was designed to safeguard public market investors from the likes of Enron, an energy-trading company that perpetrated one of the biggest accounting frauds in history. VCs grumbled over the additional expense the new regulation created, calling it a deterrent to going public. Whether or not their claims were valid, the rise of Facebook soon after marked an undeniable shift toward staying private longer. Startup founders admired and looked to emulate Facebook cofounder and CEO Mark Zuckerberg, a then twentysomething who wasn’t answering to anyone, yet growing his company at a nearly unprecedented clip. Facebook’s private shares similarly seduced accredited investors everywhere. Because of secondary marketplaces that mushroomed around the growing social media giant – the platforms enabled many far-flung participants to trade Facebook’s then-private shares – many who were new to startups were rewarded, and they looked to repeat the scenario. Facebook wasn’t alone in its early ascendance in the Boston area. A year after it was founded in 2004 in Mark Zuckerberg’s Harvard dorm room, a nearby outfit called Y Combinator was being created by entrepreneur Paul Graham and his wife, Jessica Livingston. It was unlike anything Graham had ever done — and by design. When earlier in his career, Graham cofounded a software company called ViaWeb, few doubted his engineering prowess. But Graham was much weaker when it came to fundraising. In fact, though Yahoo wound up purchasing ViaWeb for $49 million in stock in 1998, it was after being encouraged by a third party to kick the tires a second time. Y Combinator alums would be different. From nearly the outset, participants in the now-famous accelerator program learned to frame their growth metrics as compellingly as possible. Their pitches proved so irresistible to VCs over time that the mantra of “ramen profitable” gave way to “growth hacking,” which involved burning cash to expand — and figuring out profitability later. Against the backdrop of these shifts, the SEC’s interest in Silicon Valley was growing. One early, motivating factor was a report in the WSJ in 2006 that questioned whether executives at a variety of healthcare and software companies were manipulating options pricing. Investigations were launched, including into Apple; the SEC even set up a related “Stock Options Task Force” and filed charges against two former Apple execs for their alleged roles in backdating Apple options — both of whom settled without admitting wrongdoing. But the investigations came to be viewed as much ado about nothing, with disagreement even among the government’s experts about how stock options should be issued. The end result: To those in Silicon Valley, the agency didn’t appear to understand technology companies particularly well. Its reputation took another knock in 2013, when it lost a five-year case against internet billionaire Mark Cuban, who the SEC had accused of insider trading over shares of a small internet company in which he owned a substantial stake. Not that founders have been paying a whole lot of attention to the SEC in the first place. The startup industry has long prided itself on playing by its own, unwritten rules. To “fake it til’ you make it” is routine. Prioritizing building up a user base over profitability has also become the common wisdom over the last decade. Even so, legions of founders who once looked up to Bill Gates have been replaced by founders who now worship Uber CEO Travis Kalanick, not least because Kalanick has managed to raise roughly $15 billion from investors, all on the private market. In fact, if aren’t running your company like the money spigot will never turn off, the thinking goes, you may get punished for it. Sunil Paul, who cofounded the now-shuttered startup Sidecar, recently told the New Yorker that Sidecar both invented and innovated on the concept of ride-sharing. But even a patent on the technology and Sidecar’s $39 million in venture funding couldn’t overcome Uber. “We got run over by the Uber money truck, in lots of different ways,” he said. So much of the action has been taking place on the private market over the last five to seven years that so-called non-traditional investors were bound to show up: hedge funds; mutual funds; family offices; sovereign wealth funds; Delaware structures, funded by offshore investors. All those new money sources are proving both good and bad for startups. While there are more investors willing to write startup checks than ever before, newcomers to Silicon Valley don’t necessarily share the same principles of conduct to which venture investors are accustomed. Khosla isn’t an arbitrary example. The firm led a $500,000 seed round in the vegan food company Hampton Creek, which is now under investigation by the SEC following a story in Bloomberg that employees were ordered to buy vast amounts of its eggless Just Mayo product to create the illusion of soaring demand. The company reportedly used the sales information to raise more funding. What’s particularly strange about the case are the warnings that Hampton Creek’s board received from Ali Partovi, a successful entrepreneur and investor with an abiding interest in food and agricultural tech. Partovi had invested in Hampton Creek, then joined it on a full-time basis to help it along. But according to Bloomberg, within just nine days, Partovi discovered the company’s sales projections were dramatically inflated and resigned, warning the company’s board as he left that he suspected CEO Josh Tetrick of misrepresenting the company’s finances. Not only did those investors continue to support Tetrick — a comparative newcomer to the startup world — but the venture firms Khosla Ventures and Horizons Ventures, the company’s two largest investors, co-led Hampton Creek’s next funding round with the participation of Founders Fund, which had considered leading the round but opted to make a smaller investment after reviewing Partovi’s resignation letter. Founders Fund declined to comment for this story, as did Partovi. Partovi appears to have made out okay. According to Bloomberg, he sold his stake in Hampton Creek to Salesforce founder Marc Benioff at a profit, after telling Benioff he thought Tetrick had been dishonest with investors. But it’s worth noting that Partovi tried to deal with the situation privately rather than share his conclusions the media. It’s standard Silicon Valley operating procedure, where, if you’re a typical startup investor who has identified perceived misdeeds, your options seemingly boil down to telling the media and risk seeing your stake go to zero; suing the company, knowing the company might use your money to defend itself; or to stay quiet and hope to get your money out. Indeed, a similar story played out several years ago at the publicly traded online lending company Lending Club, whose operations are currently being examined by the SEC. Founder and former CEO Renaud Laplanche and other family members took out roughly $750,000 of loans on the platform when the company was still privately held. The idea was to “help increase reported platform loan volume for December 2009,” Lending Club has since said. Theranos’s investors, most of whom aren’t known for showing up in Silicon Valley startup deals, don’t appear so understanding. Partner Fund Management, a San Francisco-based hedge fund, launched a lawsuit against the company early last week, telling its own investors that it was blatantly deceived. “Theranos and its principals knowingly and repeatedly lied that they had developed proprietary technologies that worked, were on the cusp of receiving all necessary regulatory clearances and approvals, and concealed the truth about the commercial viability of their technologies and methods,” it said in a statement. Now it wants back the $96.1 million it invested in Theranos and more. Partners’s suit is likely just the first for Theranos, which raised roughly $800 million altogether from investors and was once valued at $9 billion. Theranos is also a juicy case for the SEC, says the San Francisco securities attorney, whose firm works with many known tech startups and asked not to be named. 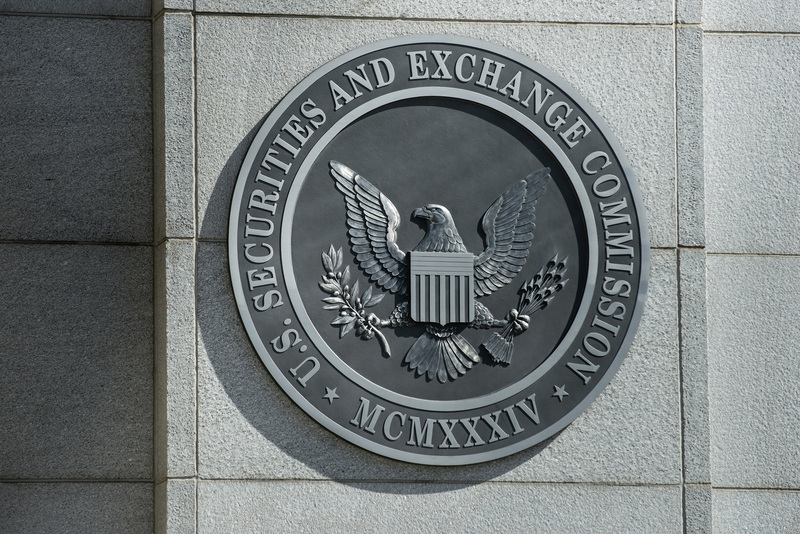 The SEC did not respond to multiple requests for comment, including interview requests with Andrew Ceresney, the director of its enforcement division, or with Erin Schneider, the associate regional director for enforcement in its San Francisco office. With Hillary Clinton poised to become elected president of the U.S., that question is sure to gain more attention, suggests longtime political strategist Bradley Tusk, who helped Michael Bloomberg get elected to a third term as the mayor of New York City and now works with startups on regulatory issues. Just last week, Senator Elizabeth Warren called on President Barack Obama to fire White for not being tough enough on public companies. And Warren and other progressive Democrats, such as Senator Bernie Sanders, are likely to turn up the heat further in order to influence the next round of appointees after the November election, Tusk says. In fact, the SEC has five commissioners who are appointed by the president with the consent of the Senate, and it currently has two openings, with another opening up next year. The behind-the -scenes machinations to fill them aren’t exactly top of mind for most in Silicon Valley, but they shouldn’t be the last thing the region is thinking about, either.